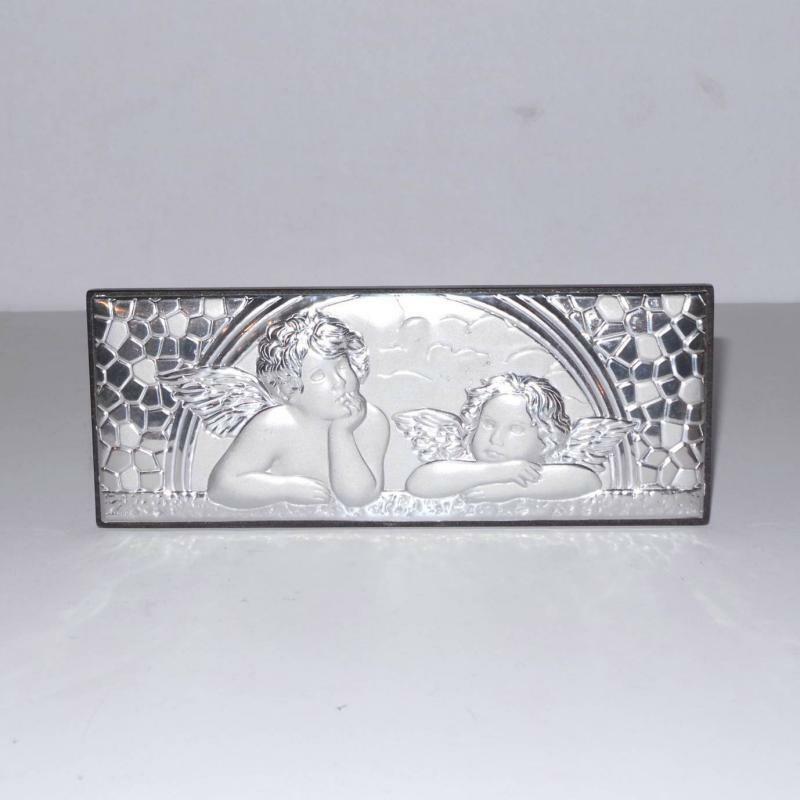 Italian Sterling Silver Plaque With Relief Decoration of Angels/Cherubs. Sterling Silver on Wood with a footed stand. 5 7/8" x 2 3/8". Excellent condition. Please feel free to make an offer. No reasonable offer will be turned down.